Oh, that is so original! An exquisite dessert. Refreshing. Lisa, I've been wanting to pick up a copy of the Cowgirl book - I'm such a fan of those ladies! Dairy in granita is new to me too. The texture is so interesting and the flavors look spot on! I'm not sure if I've even heard of a granita that has dairy in it! But this looks wonderful - love the combo of lemon (one of my favorite flavors!) with ginger. Really super recipe - thanks. I am so jealous of your Meyer lemons! This looks as pretty as fresh-fallen snow! And, needless to say, would taste a whole lot better. Btw,I would be thrilled to own just one thriving Meyer lemon tree. So refreshing and tasty! This would be a lovely dessert to end a rich meal. What an enthralling recipe! 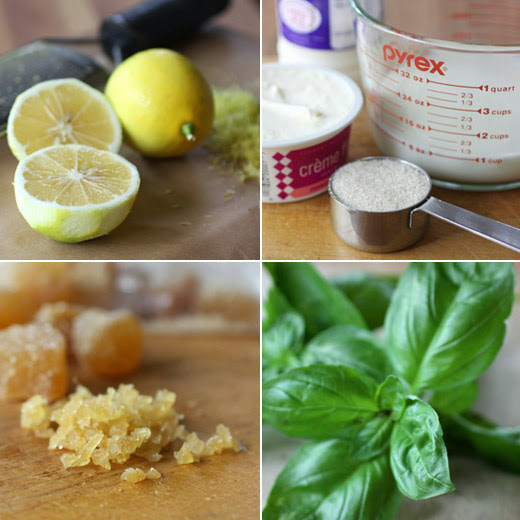 As a lover of all things lemon and especially desserts this recipe has captured my imagination! A beautiful holiday dessert! Se ve muy rico y refrescante un lindo postre,abrazos. Such a refined dessert, Lisa! It looks wonderful. I can't imagine anything more refreshing to end a heavy, holiday dinner. This really looks sublime. Lemon and ginger go together beautifully. Lovely recipe. I've never tried a granita with dairy either. I like the sound of your description of it though. I am not a great fan of the icy version. 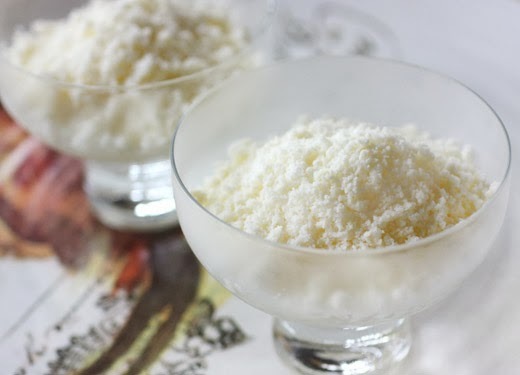 Creamy and lemony granita! I have never made granita before. I like your version with creme fraiche. I will definitely get some meyer lemons to make this. What a brilliant idea, Lisa! I can't wait to try it. My mouth is watering just thinking about it. Granitas are so simple to make so you can use complex flavors in them. Herbs are marvelous additions. Love the idea of using creme fraiche too! 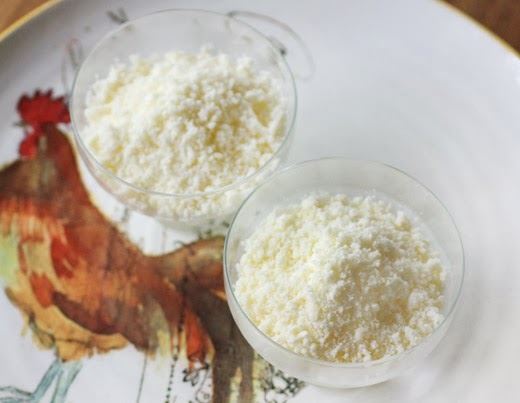 Your granita looks like a bowl of snow and sounds delicious. this must be ultimately refreshing! interesting treat with great flavors, lisa! My goodness this sounds wonderful. And it looks so elegant. What a great thing to make over the holidays. Thanks for posting the recipe Lisa.